After three acclaimed novels - The Russian Debutante's Handbook, Absurdistan, and Super Sad True Love Story - Gary Shteyngart turns to memoir in a candid, witty, deeply poignant account of his life so far. Shteyngart shares his American immigrant experience, moving back and forth through time and memory with self-deprecating humor, moving insights, and literary bravado. The result is a resonant story of family and belonging that feels epic and intimate and distinctly his own. Born Igor Shteyngart in Leningrad during the twilight of the Soviet Union, the curious, diminutive, asthmatic boy grew up with a persistent sense of yearning - for food, for acceptance, for words - desires that would follow him into adulthood. At five, Igor decided to become a writer, and his grandmother paid him a slice of cheese for every page he produced. He wrote Lenin and His Magical Goose, his first novel. In the late 1970s, world events changed Igor's life. Jimmy Carter and Leonid Brezhnev made a deal: exchange tankers of grain for the safe passage of Soviet Jews to America - a country Igor viewed as the enemy. Along the way, Igor became Gary so that he would suffer one or two fewer beatings from other kids. Coming to the United States from the Soviet Union was equivalent to stumbling off a monochromatic cliff and landing in a pool of pure Technicolor. Shteyngart's loving but mismatched parents dreamed that he would become a lawyer or at least a "conscientious toiler" on Wall Street, something their distracted son was simply not cut out to do. Fusing English and Russian, his mother created the term Failurchka - Little Failure - which she applied to her son. With love. Mostly. Swinging between a Soviet home life and American aspirations, Shteyngart found himself living in two contradictory worlds, all the while wishing that he could find a real home in one. And somebody to love him. And somebody to lend him sixty-nine cents for a McDonald's hamburger. Provocative, hilarious, and inventive, Little Failure reveals a deeper vein of emotion in Gary Shteyngart's prose. It is a memoir of an immigrant family coming to America, as told by a lifelong misfit who forged from his imagination an essential literary voice and, against all odds, a place in the world. A year after graduating college, I worked downtown in the immense shadows of the World Trade Center, and as part of my freewheeling, four-hour daily lunch break I would eat and drink my way past these two giants, up Broadway, down Fulton Street, and over to the Strand Book Annex. In 1996, people still read books and the city could support an extra branch of the legendary Strand in the Financial District, which is to say that stockbrokers, secretaries, government functionaries everybody back then was expected to have some kind of inner life. As much as his memoir succeeds in painting the travails of Shteyngart’s experience as an immigrant straddling two cultures, it is the parts that deal with his problems with his parents that are deeply moving and his to own. It really is true that “the secret source of humor is not joy, it’s sorrow.” In Little Failure this applies both to Shteyngart’s description of the Soviet Jewish experience and to his more immediate family struggles. Even the book’s title, a nickname coined by his mother, masks layers of hurt and damage caused by parenting with total disregard for the loosely flung word. (Reviewed by Poornima Apte). [Shteyngart] has dismantled the armor of his humor to give readers his most tender and affecting gift yet: himself. [A] keenly observed tale of exile, coming-of-age and family love: It’s raw, comic and deeply affecting, a testament to Mr. Shteyngart’s abilities to write with both self-mocking humor and introspective wisdom, sharp-edged sarcasm and aching—and yes, Chekhovian—tenderness. Hilarious and moving . . . The army of readers who love Gary Shteyngart is about to get bigger. [A]nother writer who grew up with Cyrillic characters is gleefully writing American English as vivid, original and funny as any that contemporary U.S. literature has to offer. Literary gold . 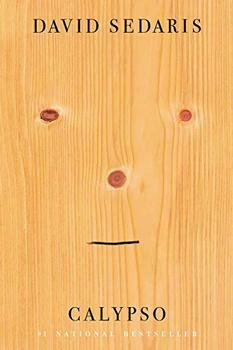 . . [a] bruisingly funny memoir. Shteyngart possesses a rare trait for a serious novelist: he is funny—and not just knowing-nod, wry-smile funny, but laugh-aloud, drink-no-liquids-while-reading funny. [Shteyngart’s] irrepressible humor disguises a Nabokovian love of the English language and an astute grasp of human psychology. Starred Review. A surefire hit. Starred Review. Shteyngart's self-deprecating humor contains the sharp-edged twist of the knife of melancholy in this take of a young man 'desperately trying to have a history, a past. Starred Review. Though fans of the author's fiction will find illumination, a memoir this compelling and entertaining - one that frequently collapses the distinction between comedy and tragedy - should expand his readership beyond those who have loved his novels. You ask me if it's funny? Naturally it's funny - he's always funny. But alongside the jokes and the (frankly unbelievable) photos, you'll find deep feeling on display, and shimmering sentences, and a marvel of a story. Unputdownable in the day and a half I spent reading it, Little Failure is a window into immigrant agony and ambition, Jewish angst, and anybody's desperate need for a tribe. I'm always wary when a young writer offers up a memoir, but Gary Shteyngart delivers big-time with Little Failure. 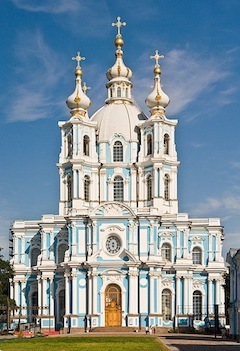 St. Petersburg is known for its gorgeous architecture and rich history. A few of these sights, outlined below, are described in Little Failure. In his memoir, Gary Shteyngart recalls coming upon a coffee-table book at a bookstore in New York City, St. Petersburg: Architecture of the Tsars, with the "baroque blue hues of the Smolny Convent Cathedral practically jumping off the cover." This seemingly chance incident triggers a near nervous breakdown in the author, bringing many childhood memories back to the surface. The acclaimed author of A Replacement Life shifts between heartbreak and humor in this gorgeously told, recipe-filled memoir. 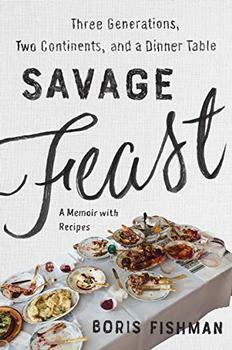 A family story, an immigrant story, a love story, and an epic meal, Savage Feast explores the challenges of navigating two cultures from an unusual angle.